The connection between banning oil exploration in ANWR, vetoing the Keystone XL pipeline and visiting Saudi Arabia. A Limerick. – Len Bilén's blog, a blog about faith, politics and the environment. The connection between banning oil exploration in ANWR, vetoing the Keystone XL pipeline and visiting Saudi Arabia. A Limerick. President Obama announced Jan 25 that his administration plans to lock up the oil-rich 1.5 million acre Arctic National Wildlife Refuge coastal plain and offshore areas in Alaska from oil and gas exploration. 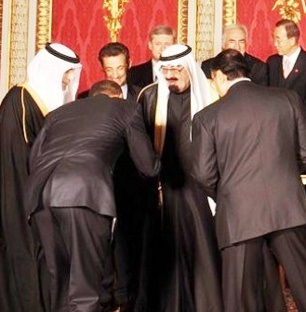 Obama cut short an official trip to India and flew to Riyadh Jan 27 to meet the new King. Obama: Ban oil drills in ANWR. Import oil is better by far. to King Salman bow down. Submit to his will, or it’s war. King Salman bin Abdulaziz Al Saud is now Custodian of the Two Holy Mosques, (Mecca and Medina). Previous Previous post: Sarah Palin at Freedom Summit. I’m ready for Hillary! A Limerick. Next Next post: Verse 22 of the Obama Impeachment song: Obama the Muslim Brother.